Birralee Primary School was established on this site in 1970. 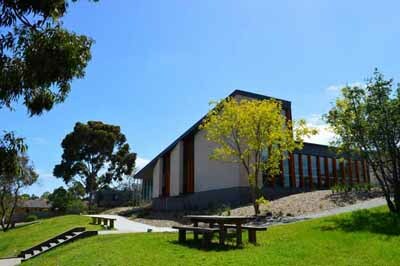 Our school is set on a hill, in a beautiful location that takes in panoramic views across the landscapes of Box Hill North and Mont Albert North. We have extensive treed grounds, delightful garden spaces, shade cloths, formal and adventure play equipment, and large sporting areas. Our current 2018 enrolment is 510 students, divided over 23 classes. In addition to our skilled and passionate team of teachers, we have 11 integration aides, who support those of our students that are on the Program for Students with Disabilities. Speech pathology and occupational therapy are also available where needed. At Birralee, we pursue excellence and achievement for all, focusing strongly on literacy and numeracy. A significant proportion of our students continually achieve academic results beyond the expected achievement levels. Our broad curriculum includes ‘primary connections’ science, history, geography, civics and citizenship, studies of the environment and other cultures, and more. This not only allows our students to participate in a diversity of learning experiences, but also helps in developing confidence, success, personal growth and a strong sense of self-worth. With a student population that is drawn from a wide variety of cultures and backgrounds, we pride ourselves on actively teaching, modelling and encouraging respect for diversity and a sense of community responsibility. Birralee provides specialist programs in visual arts, physical education, philosophy/music, dance/computers/literature, and mandarin. Our H.A.T.S. (Highly Able and Talented Students) program aims to identify those students who work well above their year level, and cater to their individual abilities and interests. As part of our emphasis on the performing arts, all students are involved in an annual musical production, and we also have a school band, and senior and junior choirs. For those who are interested, we offer optional lessons in a broad variety of musical instruments. On the sporting front, in addition to weekly P.E. classes and senior interschool sport, we offer a specialist dance program, tennis lessons, gymnastics and athletics across the whole school, as well as a variety of sports clinics throughout the year. Our senior students take on leadership roles including School Captains, House Captains, Sports Captains, Band Leader, Choir Leader and Visual Arts Leader. Additionally, students from Year 4 to Year 6 (2 from each class) have the opportunity to represent the students on our Junior School Council. All prep students are allocated a senior school buddy under our buddies program, and quickly develop a familiar and supportive “big sister/brother” relationship in the playground. One of our greatest strengths at Birralee is our close-knit community, which is the result of our strong commitment to the school-home partnership. We have an active parent body that participates enthusiastically in the school lives of their children, and a wonderful PFA that organises a whole host of activities throughout the year, such as the family fun night, fathers’ and mothers’ day breakfasts, trivia night, family disco, etc. We believe strongly that the education of a child is a joint responsibility, and it is only by working together that we are able to achieve collective goals and the best outcomes for our students.